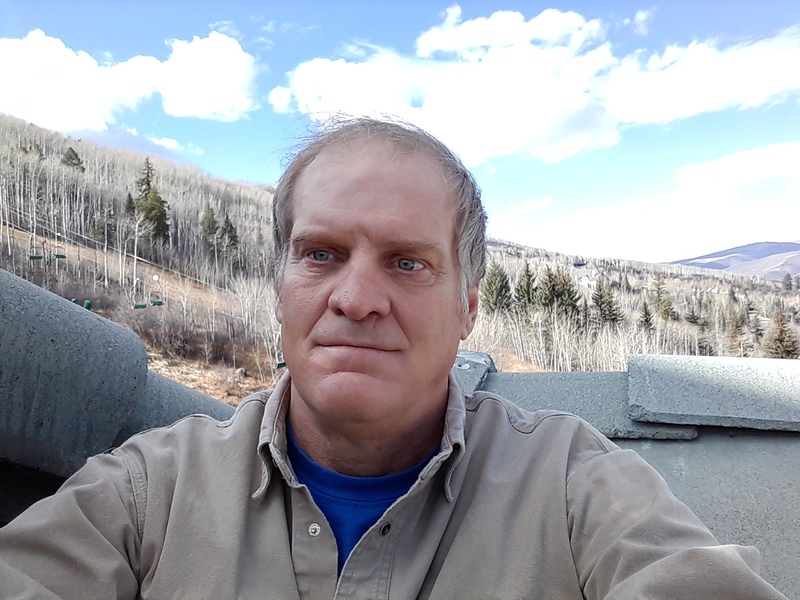 Your full time Developer of ColoradoWebCam.Net Thomas DeVito has been working on webcams in Colorado since 2002. We Produce Web Cams Views of Colorado for Public View. Views in Aspen, Snowmmass, Basalt, El-Jebel, Carbondale, Marble, Glenwood Springs, Rifle, New Castle, Edwards, Beaver Creek, Crestone, Weston, Georgetown, and more. We would like to put a view at your host site as well. Welcome to Colorado Web Cam, we are obsessed with webcams and providing high quality views for public view. Unlike many other web cam sites, Colorado Web Cam produces the views and Pays for the cameras and pays for the high speed streaming required to give the public a quality webcam view. As of fall of 2017 we have about 40 webcams deployed by Colorado web cam for public view. In most cases the cameras are purchased and produced by the Colorado Web Cam. In many cases the cameras are a partnership of the Host Site and Colorado Web Cam. As of fall 2017 the developer of the webcam site is working full time on this project. The money required to produce this site and work on it full time is lacking currently, but we believe the project is very worthy of making a try at deploying cameras full time. A camera deployment costs about $2000 per year. Cost incurred are streaming, and the cost of the hardware, not to mention the labor and website hosting and development. We have added adsence to the site to try to bring in revenue. But we fall far short of what we need to keep growing. Your developer has been working on this project since 2000. We started in Snowmass Village Colorado with a view of mount daily. Many sites have come and go over the years. Since each site is a relationship, time can change the circumstances of the host site. To build a good site, it requires a relationship with the site and coloradowebcam.net. We have many such long term relationships, and are always seeking new ones, new sites, and new hosts. Hosts that enjoy our views and want to share their views as well. The value of the webcams is enormous for marketing and name recognition and with streaming integration into our sites and yours we provide a solid marketing investment that just continues to produce. We usually get power and internet from the host site. In some cases there is no internet and power. In that case we need to use solar array and batteries and build an internet bridge to the Host internet location. We have a few deployments that do just that. They require battery replacement down the road, and can go down on long periods of no sun and lots of snow. The quality of the product is greatly influenced by the speed of the internet upload. With a Streaming solution, we lock the camera down to outside users, and only let the steaming company collect the video and audio. This keeps the camera fast, and low impact on the local internet, as well as providing security to be PCI compliant at the local site. Fact is the webcams can easily saturate the local network. The amount of data used is dependent on the type of viewer you are using. If you use the local web view directly to the camera, it uses an enormous amount of memory, and 6 viewers onsite can saturate a network causing internal packet loss. We use an H2.64 Compression now and newer compression types in the upcoming future to keep stop the saturation problem. Many of our cameras can show a much better resolution then we broadcast because the internet does not have enough upload speed. We can work with as little as 1 Meg upload. With 5 Meg upload we can good medium resolution. With 10+ Meg upload we can go High Resolution. Most local sites use the Download speed. Since we use the Upload speed we do not normally impact much on the local site. Welcome to Colorado Web Cam, we are pleased to provide you with live color video streams from our Web Camera video network. Most cameras on this network are owned operated and supported by coloradowebcam.net and its sponsors. Please thank our sponsors with your business, without them there would be no network, no live views, and no current weather. Coloradowebcam.net has been broadcasting live camera views since February 2003. The web site was created by Absolute Computer Design, and the site grew for 6 years with no financial support. In Jan 2009, coloradowebcam.net took on its first sponsors to help with the growing costs of adding new cameras, and the cost of streaming webcams. With the support of sponsors we were able to purchase new cameras and expand the network. Sponsors contributed anywhere from $250 to $2500 per year for camera installations at their site or to place banner ads on the network. We hope to provide cameras across every small town in Colorado. Our goals are to provide live color views of the I70 corridor, and live camera views of Colorado’s western slope and high country towns. We offer current traffic, live weather conditions, current Colorado River views, and ski mountain conditions. We have cameras in Beaver Creek, Glenwood Springs, Carbondale, Basalt, Aspen, Snowmass, El-Jebel, Redstone, New Castle, Rifle, Edwards, and Snowy Mountain Range on the WY boarder, and more. We want to add the following towns but need sponsors. The want sites for webcams in Copper Mountain, Silverthorne, Keystone, Idaho Springs, Vail, Eagle, Gypsum, and any town or view on I70 between Grand Junction and Denver. We also would like to expand to the North West Colorado and the South West of Colorado. 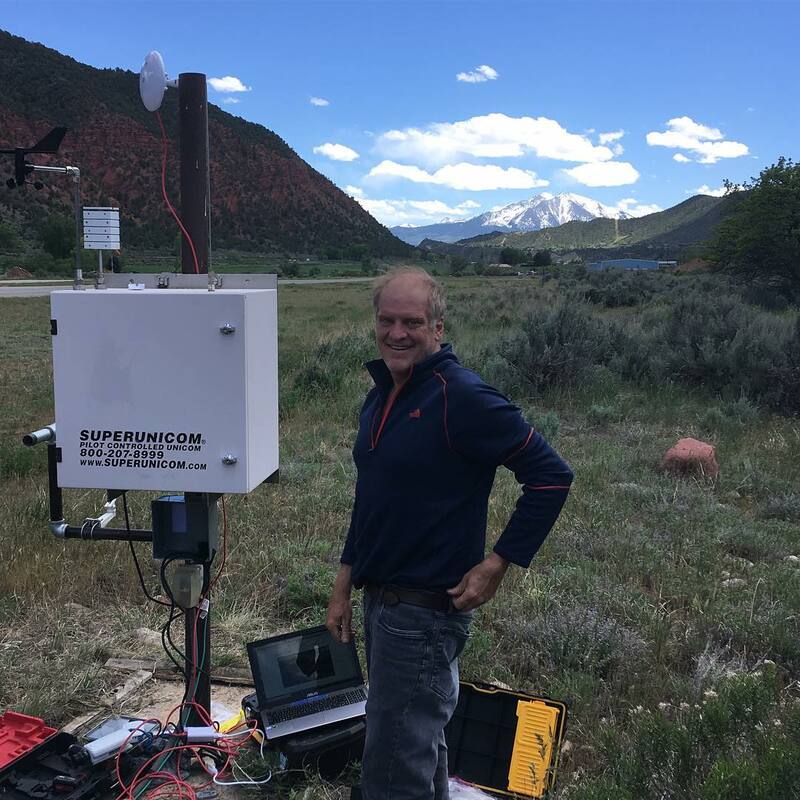 Recently we added 3 cameras in the Crestone Colorado area near Alamosa. We need and want your support and participation to make this project grow. The webcams have reached to point where they can no longer handle the number of simultaneous viewers. The results are slow camera refresh rates, and cameras going down till they are rebooted. We solved this in 2009 when we setup all web cameras with an off-site video streaming server that can relieve the workload from the web cameras. In this new video network, the viewers access the video server not the camera. This freed the cameras to provide faster views as the camera is only sending out 1 stream to the video server. Also in the new system, the camera is low impact on local network traffic. Another benefit of the new offsite stream is to make the camera site more secure and be compliant with PCI Network Compliance required by many larger business sites. This solution was completed in March 2010. As a result the speed of refresh and the quality of the picture has improved. The drawback is the Cost of streaming is ongoing and requires us to pay more every month to provide the streams. Colorado Web Cam has a large overhead to keep the site working. Keep in mind that each camera costs about $2000 the first year and $1300 annual after that. The job of keeping the cameras working has become almost a full time positon. Again we need and want your support and participation. You can get involved supporting the video network by sponsoring a webcam or placing a new webcam at your site. Email us at info@absolutecomputerdesign.com to talk to us about getting involved. There are many benefits to participating in our Webcam library, including Name recognition, Title bars on the cameras, back linking from our site. We also provide Website support and development and hosting. Our social marketing will also provide marketing and backlinking. If you have a great location, we are interested in talking about it. As a business sponsor there are a lot of reasons to get involved by placing a camera at your location. We have a large number of Denver and High Country viewers that use our site on a daily basis. We also have a dedicated national and international viewer base. Take a picture of your view and send it to us at info@absolutecomputerdesign.com to have us consider your location. Your location should have high speed internet. Satellite internet cannot support live views, but can support time lapse viewing. Cable internet, DSL internet, or Wireless sites can support live viewing. The location should have power and a wired internet outlet to the camera location. In some cases the camera can be wireless but has to have power to the camera site, and be close to the internet broadcast site. The camera location will have a camera enclosure and holding arm installed to hold the web camera. Once the webcam is installed coloradowebcam.net will support the camera should it require maintenance. Because the cameras are computers, they require maintenance. In our model we purchase and support the camera for a yearly fee. This relieves the task of keeping the system running from the client to us. Below you will find our current pricing. Advertising on www.coloradowebcam.net $500 per year will get you hard coded backlink on our site and link them to your website or a simulated website we produce for you of your own. Search engine keywords and stats on how many views will be provided at the end of the year. Ads are placed on all related Domains COST $500 PER YEAR. In this model we do not install a new camera but we place your sponsorship on our domains and social networks. You provide us with INTERNET & POWER, we purchase a camera, install, maintain system should it need repair. We maximize the image quality over time for night lighting & lens changes should they be needed. COST $2000 Per Year. Camera has capability to store surveillance on your site to your computer, should you want to take advantage of this it would require a computer onsite or an offsite storage service at an additional cost, but can be done. All images are to be shared on www.coloradowebcam.net this offer is not available for private images. If you do not have a website to link to, we provide a BASIC DOMAIN NAME HOSTING and Web Site Setup with unlimited EMAIL. We buy your domain name and host it. We setup your company email and teach you to manage it. We post a simple website at no charge, THIS IS a SIMPLE 1 PAGE SITE, it is recommended to do a professional site design at some point later. Total cost per year is $185 first domain and $100 for any additional names you choose to buy. Websites start at flat rate $500 design price, or we offer a long term development at $2000 per year with a minimum two year term. Livewebcamview.com and its sub-domains is a free website produced by Thomas DeVito which provides LIVE WEB CAM VIEWS free to any internet viewer. We are now on our 4th Generation for our Colorado Web Cam website. Our newest version is using Google Adsence to help generate income for the project. It falls far short of our operating costs, so still need to seek sponsors to keep the project afloat. Google Adsence will not allow static sponsor ads, but we provide Camera Label Ads, and Back Linking buttons, as well as social marketing to help provide value to our sponsors. Our newest version has spent a lot of time building Types and Locations to make it easier to find webcams you want. We have improved and added a lot of new CDOT Routes which is a popular part of the site. CDOT routes take the CDOT public cameras and builds a snapshot of a route, like I70 Mountain Pass, or Golden to Backhawk. We will add more routes over time. Our site provides GPS mapping locations now. Our site has Two Weather options. We have an NOAA link as well as a weather underground app on the detail page of each webcam. We also offer Radar, Fire and Air Quality Links, Avalanche Links. Our Time Lapse option will load 240 images into memory and bring up a Player to STOP, Forward, Backward, step by step, and Speed of play controls on the bottom. You can also reload the Time Lapse with different date fields. The amount of images is limited to 2048 images, then it will overwrite the older images.